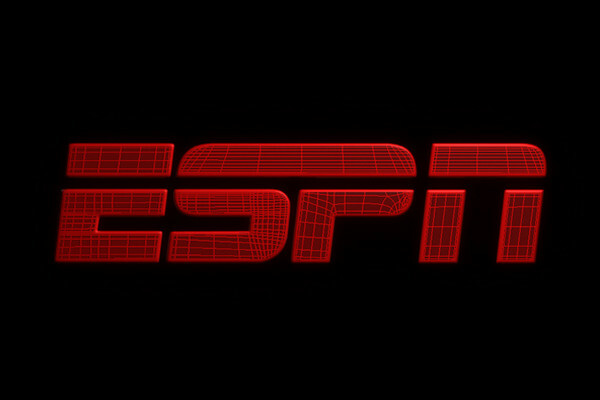 Comments Off on ESPN Supports Domestic Violence? It was a Friday night and I was watching ESPN with Mrs. X. ESPN came back from a commercial to announce breaking news regarding the Oklahoma Football Team. I wondered aloud, the team is done until their bowl game? What could the breaking news be? A coach leaving to coach elsewhere? A player being ineligible due to grades? Neither, it involved a video that was “very violent in nature” and the public was warned “to turn away” if easily offended. Only after this admonition did the anchor state that the this video is from two years ago and the athlete shown claims he was provoked by the female calling him a racial slur and spitting on him. Then the video began playing. I was floored by what I saw. (The Oklahoma Sooners college football team has a player who is a budding star in the upcoming NFL draft named Joe Mixon) Mixon is featured in this “video” by ESPN. Viewer warning, the video is very disturbing and may be unsuitable for many audiences, is how the clip starts out. Then you see a white women and one other white man enter what appears to be a fast food restaurant. Shortly thereafter Mixon—a black player—walks in. He confronts the white girl; it appears that words are exchanged. Then the white girl lunges at Mixon, and Mixon throws a hard right hook at the poor girl, knocking her clean over. Mixon probably out weighs the victim by 90 pounds. After decking her, Mixon calmly leaves the store. I will not reveal the accusers name—she has been through enough already—I want to focus on the University of Oklahoma and Mr. Mixon. The girl btw suffered four broken bones to her face. Mixon pled guilty to a lesser crime, did some community service, and was back to playing football a year later. He was never disciplined by the school for his behavior. Link: Mixon Video The video is on a split screen and you can clearly see the punch on the right-hand side. Mixon is a very talented football player. I must admit that if I had not known the details or seen the video from the incident that night that I would consider taking him high in the draft next year! 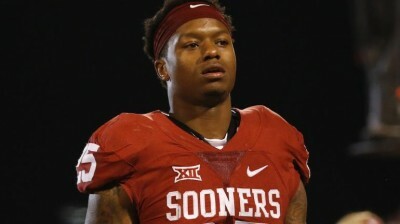 Based on the punishment that Mixon received, apparently calling someone a racial slur makes it ok to coldcock someone these days. First and foremost, regardless of what clown ESPN had hosting SportsCenter that night, Mixon is a coward…you never hit women, period. The release of the video was held up for over two and a half years by legal proceedings. The case eventually made it to the Oklahoma Supreme Court. Mixon’s lawyers wanted no part of this footage leaking out. After the Supreme Court ruled, the video was released on a Friday afternoon/night. This is a ploy because everyone knows Fridays are very slow news days and typically end in date night, family game night, or some other form of entertainment not involving television. ESPN foolishly took the bait and ran with it, offering up a low life host who claimed to be a journalist to try to make Mixon seem like the victim here. Then the screen cut to commercial, no additional commentary was offered. They returned from commercial and went right on doing sports highlights as if the incident never happened. By the way, ESPN showed the video on the same day the victim graduated from Oklahoma, classy! The victim of this assault had to have her jaw wired shut, lost feeling in the side of her face for several months, and was blamed around campus for the incident because she was trying to destroy their football team!!! As much as I am upset with their “coverage” of this issue—the reality is that a large plurality of viewers and commentators at ESPN probably believe the women is at least somewhat at fault for what happened that night in that restaurant. Fast forward to the following Monday, 12/19. Paul Finebaum, an ESPN SEC Network radio host and commentator, delivered a scathing analysis of Mixon, saying he had no business being anywhere near a football field following this incident and should be expelled immediately. I don’t agree with Finebaum much, but he couldn’t have said it any better. Then Finebaum floored me. He told the audience about a meeting that took place during the pre-trial phase involving Head Football Coach Bob Stoops, Athletic Director Joe Castiglione, OU Campus President David Boren, and the local District Attorney Greg Mashburn at the Oklahoma campus. After this meeting it was agreed that Mixon would get offered a favorable plea deal, serve no jail time, and could be reinstated to the football team after one year. Keep in mind he broke a women’s face in four or five places and gets community service. It seems like a fairly light sentence. Hang on just a darn minute. Did I hear that right? The DA who is in charge of prosecuting the case, met with the head football coach—who in a state like Oklahoma is probably as powerful as the Governor?! The DA, who is very well respected and well known in college athletics circles, and the campus President, who by the way is the same David Boren that was a former US Senator and Governor, were all in the same room, admitting to having seen the video, and agree this sentence fit the crime? I’m speechless. Oh and on Tuesday, the ESPN website has an article up about the confrontation that night with the caption quoting Mixon, saying “I felt like I got hit by a man”. Well if that’s what you felt Mixon, imagine what your victim felt. Mixon treats women like Michael Vick treats his hounds and everybody rallies around him to save him from himself. This gutless wonder wants a multimillion dollar contract with an NFL team to play football so he can get hit by men, talk about irony. ESPN, stay classy, keep defending athletes for the sake of higher ratings, remember Ray Rice was just a victim of unfortunate circumstances.